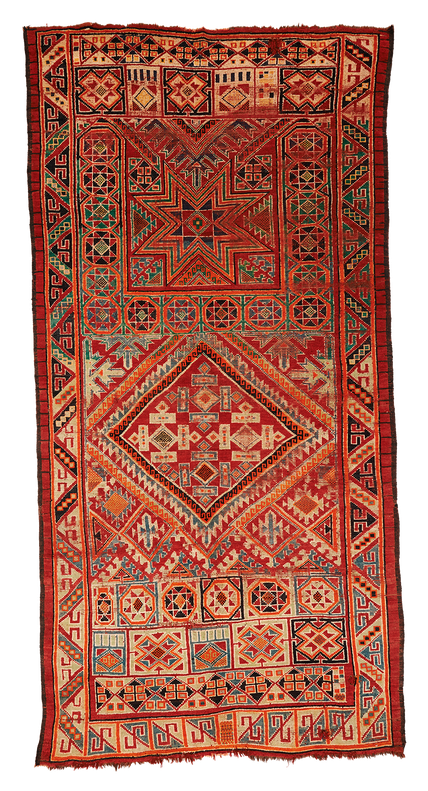 This generous Moroccan piece has a strong balance of color and a geometry that is highly intriguing. Probably Boujad, Gerouane or Zemmour in provenance, but greatly influenced by the Rabat style. Worn, but still absolutely beautiful and usable.